My they find peace in this time of sarrow. How very sad for Steve, his family and Virgil’s friends. Our thoughts are with them. Requiescat in pace, Virgil. 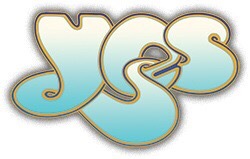 Condolences to Steve Howe and family. No parent should ever outlive their children. Tragic. Such devastating news! Our hearts and thoughts are with Steve, Dylan, Janet and the rest of the Howe family. Rest in peace dear Virgil. Very sad news , as a father I can’t even imagine what SH and his family are going through right now . 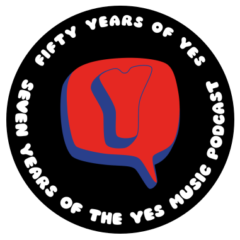 I was truly shocked when I read the news..I was mentally starting to prepare for an extreme “Yes” weekend with Yes (the real Yes with Steve) on Friday here in London and then ARW on Saturday here in Toronto. This is terrible. ..I can’t imagine how Steve feels right now. .and I hope he takes as much time as he needs to deal with his passing. I have said it a few times already but no parent should have to bury their child. It’s a crime against nature. To be honest my heart is not going to be in it as far as seeing ARW…but maybe their music will bring a bit of joy. Rest in peace Virgil….and my deepest condolences to the Howe family. That is the most awful situation. I’ve no idea of Steve’s family or what was going on. I echo the above comments that there can be nothing worse than the death of one’s child no matter the circumstance. I wish only for Steve and his family to do what they can to deal with their grief in the best way possible regardless of anyone else.